It’s a shirt. It’s a sock. It’s a glove. It’s a hat. The transition towel by Orange Mud is a real life thneed! 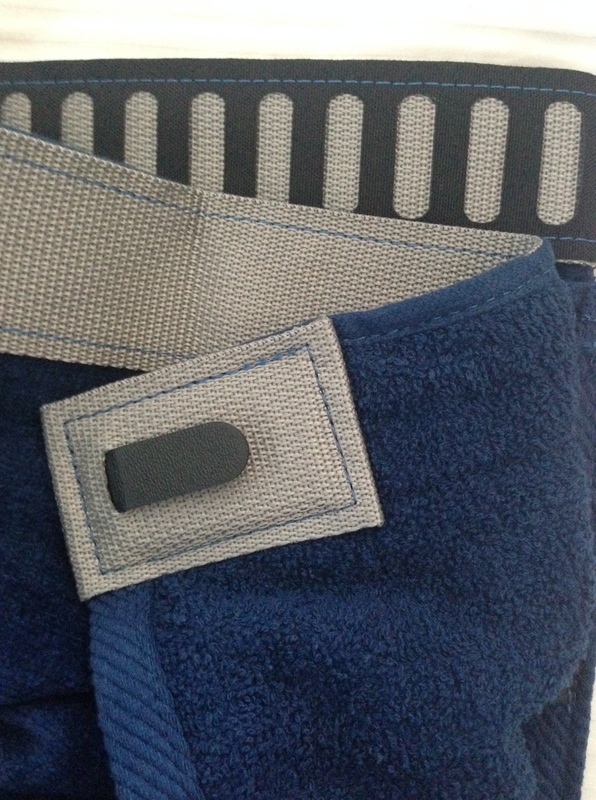 Thanks to the adjustable belt design, it can be used as a transition towel that makes changing in public easier. Additionally, it can be used as a wrap at the beach or pool. But it has OTHER uses. Yes, far beyond that! With the built in zipper, it can also be secured over the headrest of your car seat, protecting it from dirt, sweat, and water from those particularly messy or hot days. The versatility of the Orange Mud transition towel makes it a must-have accessory, whether on the trail, in the pool, or anything in between. As Douglas Adams taught us in The Hitchhiker’s Guide to the Galaxy, never leave home without your towel! This entry was posted in Product Spotlight and tagged Orange Mud, trail running by Ultrarunner Joe. Bookmark the permalink.